We hope you love shopping with DutchWare. Here are our delivery and returns policies to help make sure we meet your expectations. Shipping and Delivery charges are subject to change and are determined when you order. Estimated delivery time assumes orders are placed before 12:00 noon (EST). 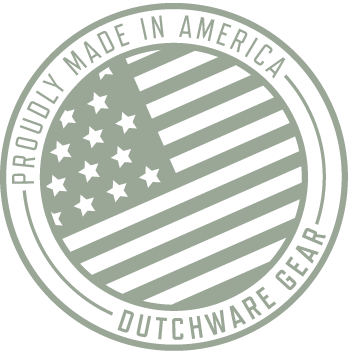 Orders you place with DutchWare Gear late on Friday, on Saturday or Sunday will not be processed until Monday. We want you to be completely happy with your DutchWare order. If for any reason you are not satisfied, we will gladly accept your timely return of unused or defective merchandise. Returned merchandise should include the vendor packaging and tags and be in the same condition as when it was received. A pickup and/or restock fee may apply. On the back of the packing slip enclosed with your DutchWare order, please note the reason(s) for return and whether you wish to exchange the item(s) or receive a credit/refund (depending on the original form of payment). Enclose the return section of the packing slip with your item(s). Please allow 10 to 14 days for DutchWare Gear to process your return.